This is a dessert & coffee kind of study. You know those times in life when you talk, deeply and thoughtfully, across the table, sharing coffee and dessert with a friend…well, this is one of those. So each week, there will be a recipe for dessert, a coffee type to enjoy and the story of God as shown in the Old Testament and completed in the new. 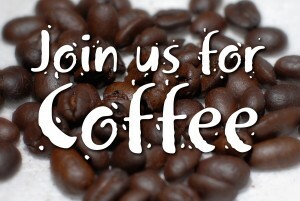 Coffee and sweets available each Sunday morning as we study Hebrews. It is not clear who authored Hebrews, nor is the identity of the intended audience clearly spelled out. In this series you will learn why Jesus and the salvation He offers is better than that offered to the Hebrews of antiquity through the Old Covenant. Your heart will be tender as you consider Who Jesus was and the great sacrifice He made for you. You will be encouraged by the faith journeys of regular men and women we consider to be heroes of the faith. Along the way I hope you will find encouragement to walk out your own faith journey in a more committed way because of Who Jesus is and what He has done for you. Our study of Hebrews may not be easy, but it will bring forth beautiful results as you faithfully apply it to your heart and life. So, pour yourself a steaming cup of coffee (or tea, if perchance you are not a coffee drinker), help yourself to a warm slice of coffeecake, and let’s get started. It is my distinct pleasure to welcome you to HeBrews: A Better Blend. If you’d like to purchase a copy of the book this series is based upon and do the daily readings and reflections, it is available at Amazon.com. To purchase the book just click here and a new page will open.